Heart healthy, immunity and overall organ function. 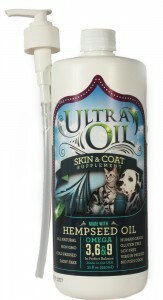 Hempseed oil is often referred to as nature’s most balanced source of Omegas. 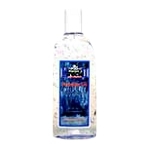 Contains the full spectrum of healthy fats in the perfect balance. Omegas can’t be absorbed properly unless they have the proper balance of Omega 3,6 & 9. Fish oils are missing the proper balance of Omega 9. 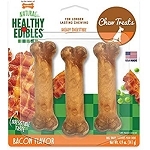 Samples available for this product! We provide the best nutritional supplement made with the best ingredients nature can provide, helping each and every pet live a full, healthy life. We are just in the first stages of using this and so far her skin is great no hot patches and her coat is so shiny! 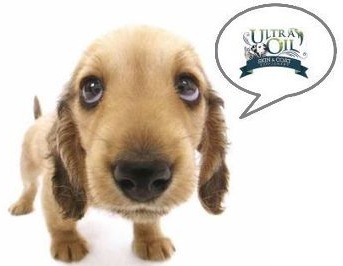 Ultra-Oil: Because you care about your pet’s health. Canadian Hempseed Oil, Flaxseed Oil, Fish Oil (Sardine & Anchovy), Grapeseed Oil, DL-Alpha Tocopherol (Source of Vitamin E), Vitamin A Palmitate, Sodium Ascorbate (Source of Vitamin C), Zinc Lactate.